Meghan was born and raised in Wallaceburg, Ontario and has always been involved in athletics and fitness. Meghan decided to pursue her education out West at the University of British Columbia’s Okanagan campus in Kelowna where she studied Kinesiology for her undergraduate degree, which is the science of human movement & applying it to improve function, health and wellness in all people. She majored in Exercise Physiology, and then continued her studies in a Master’s program, focusing in Health Promotion & Wellness. Healthy lifestyle habits and physical activity have always been a passion for Meghan, so working in a patient-focused, hands-on approach clinic was a natural fit for her. 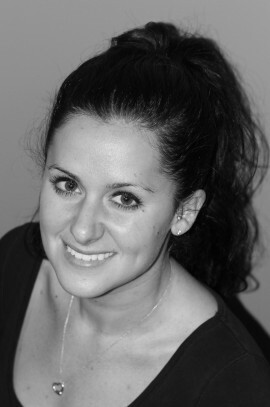 Meghan works with people who have various injuries, chronic pain and diseases, applying an alternative holistic approach to help clients reach their optimal movement potential with minimal pain. More recently, Meghan took her 200-hour Yoga Teacher Training certification with DevaTree School of Yoga, to help both her and her clients understand & benefit from the mind-body connection, and to explore the numerous physical & mental health benefits that yoga has to offer. Yoga classes will be offered in group and individual sessions, based on clients’ needs/preference, abilities and health history, to help enhance their overall quality of life and movement.